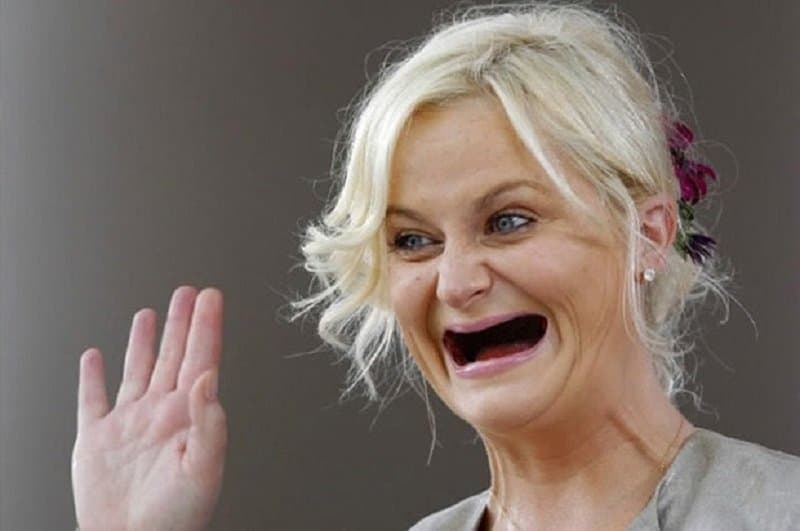 The Internet is having a blast these days by photoshopping A-list celebrities in a certain manner that makes even the most beautiful of us look completely unflattering – by removing all of their teeth. The smiles and the teeth play a huge part in the carefully built images of celebrities. Without those shiny white diamonds, a lot just look weird and old. 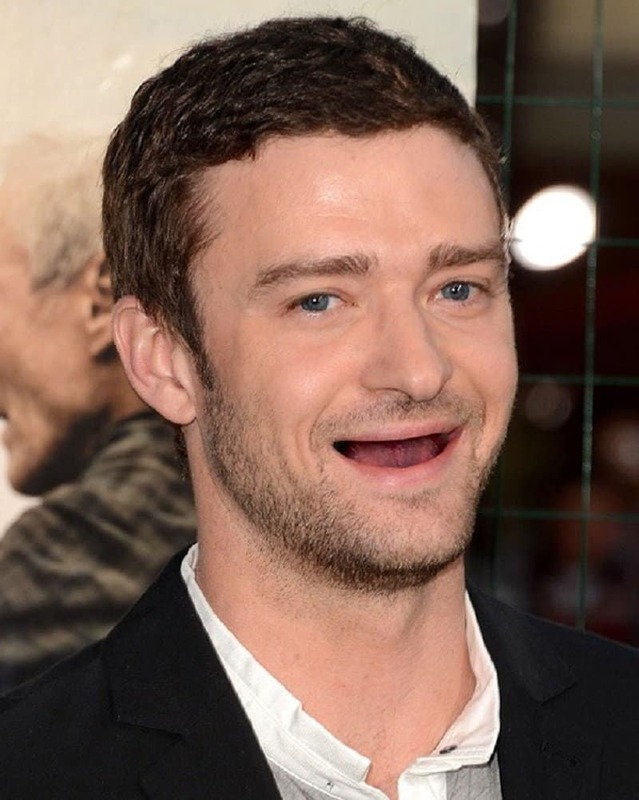 Here are the ten of the most hilarious photos of celebrities without teeth that will make your day, and maybe just haunt your dreams. 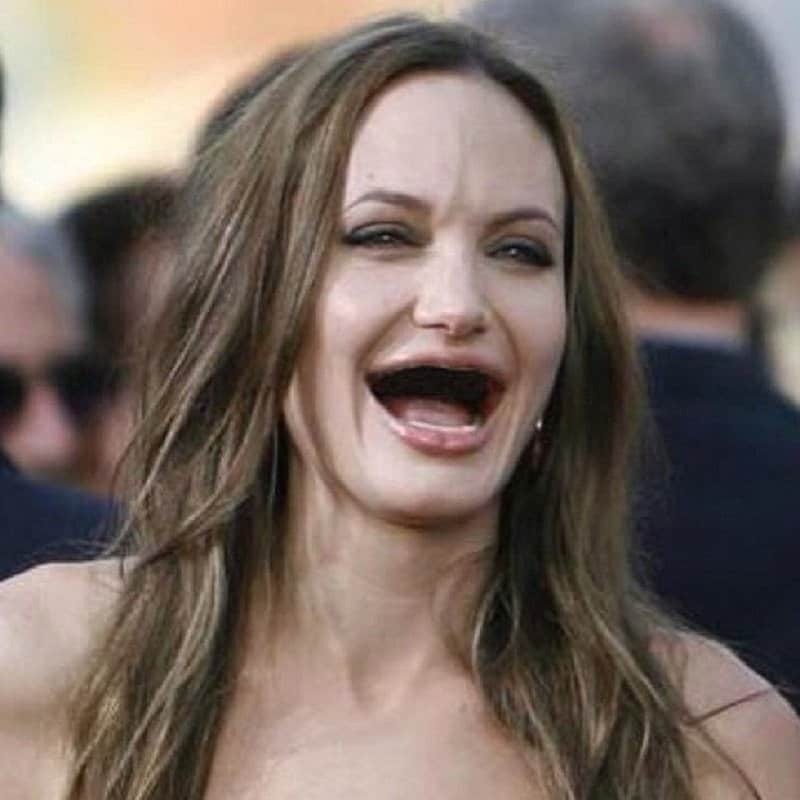 Not only does Angelina Jolie looks at least twenty years older without teeth, she also somehow resembles Kate Hudson. Justin, on the other hand, brings some close resemblance to young Dustin Hoffman. 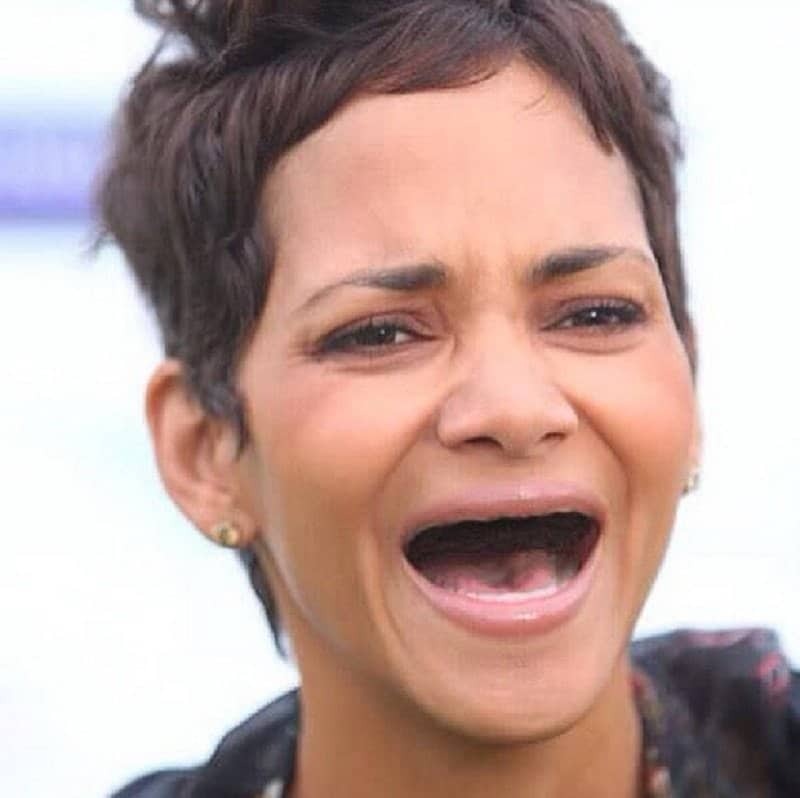 Is Halle Berry in pain or just laughing? We will never know. 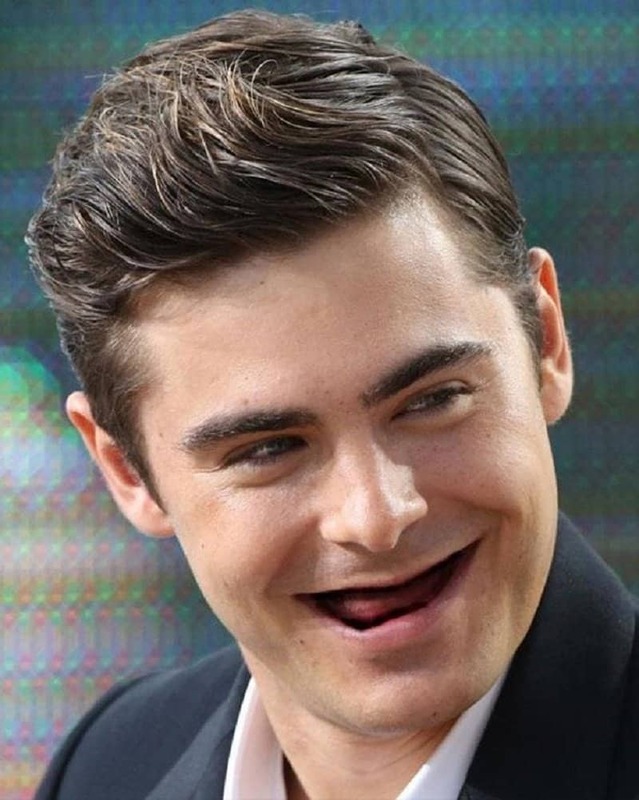 Zac Effron’s no teeth face resembles the creepy uncle we all have a bit too much. Nicole Kidman can play any old mean witch without teeth. It just fits. 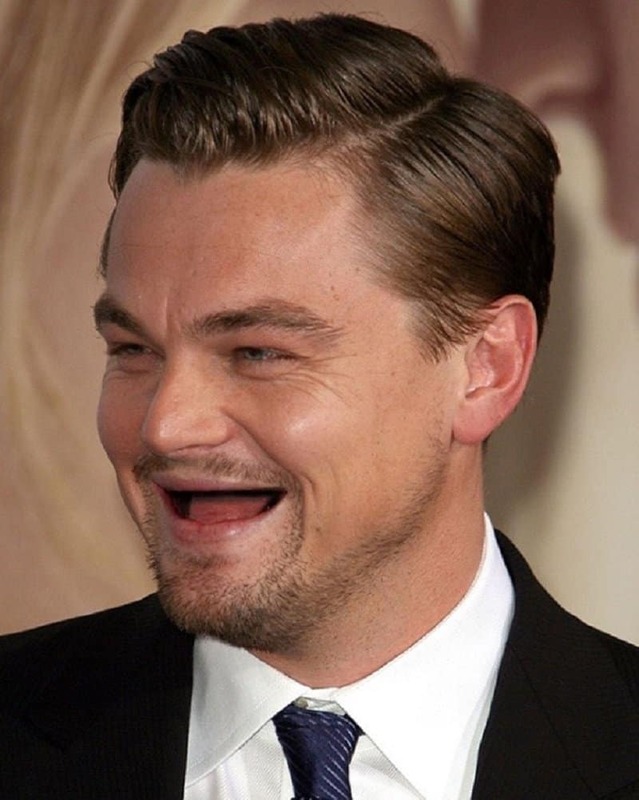 Somehow, even without teeth, Leo looks handsome. We would die to hear him talk like this, too! 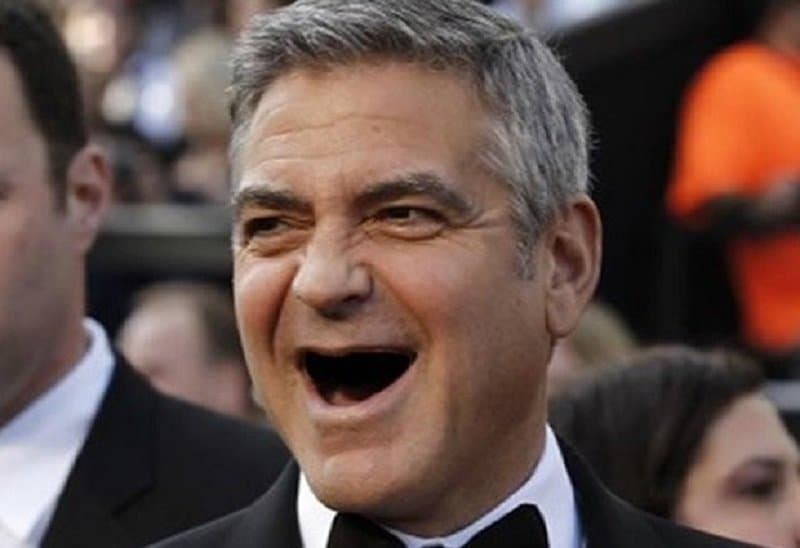 We vote George Clooney for the slightly scary toothless pile. 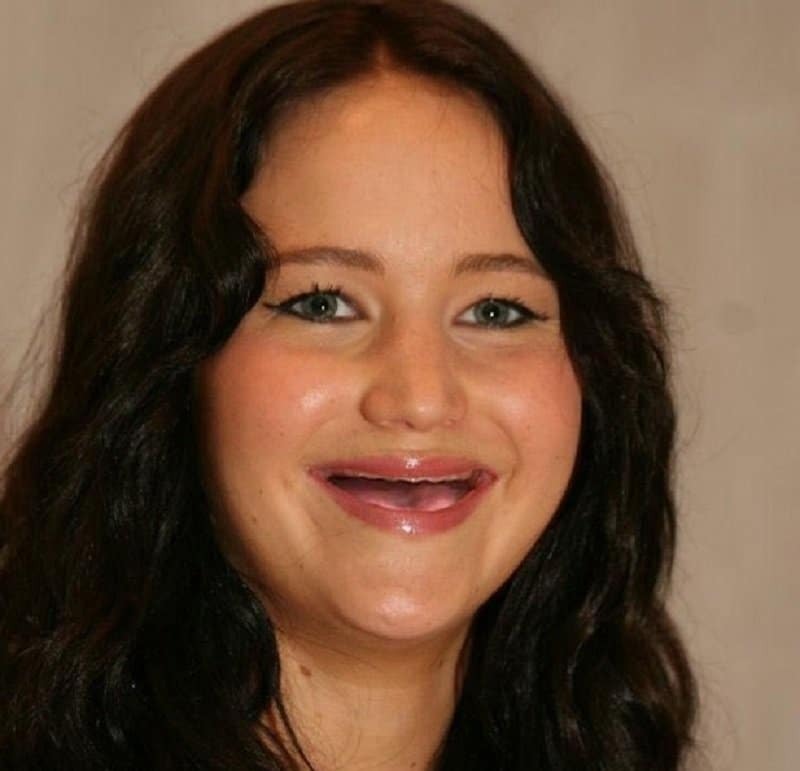 Well, JLaw’s face does look… rounder. 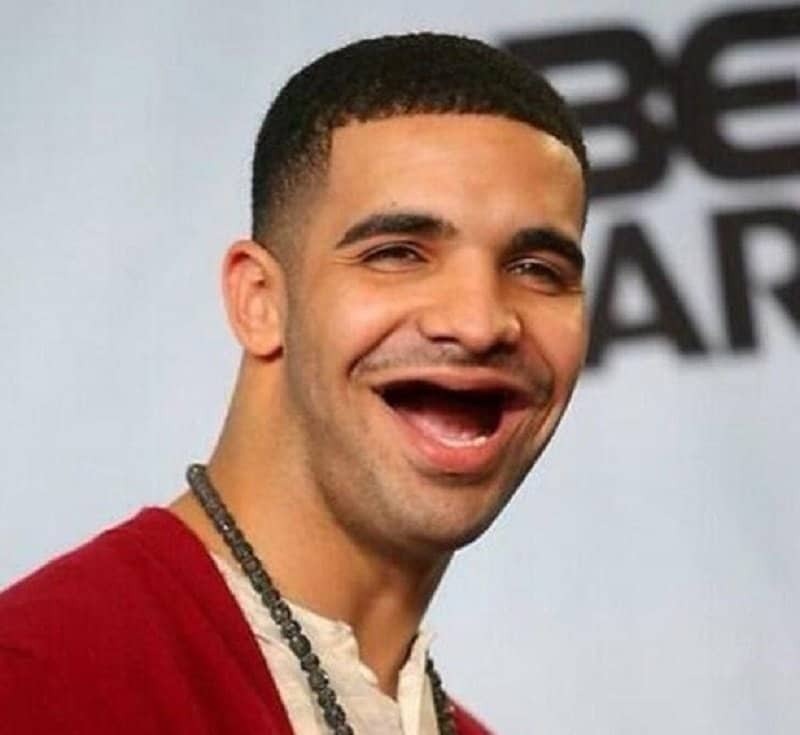 Drake really does have an awfully large mouth. Amy’s photo should not be shown to the youngsters. Too scary.